ZAPU was founded on 1961 as the successor of the National Democratic Party that had been banned by the Rhodesian government. 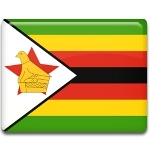 Its main aim was the fight for the national liberation of Zimbabwe. ZANU was formed two years later, when some ZAPU members decided to split from the party. Since Zimbabwe finally gained full independence in 1980, the two parties have often clashed over major political decisions. These clashes sometimes resulted in violent fights. Finally, in 1987 the leaders of ZAPU and ZANU decided to put an end to their confrontation and merge the parties. The Unity Accord was signed on December 22 that same year. National Unity Day was officially established in 1997 to commemorate the 20th anniversary of the Unity Accord. This national holidays is widely celebrated throughout the country with public speeches, official ceremonies, sporting events, concerts, etc. The largest celebration is held in the capital city of Harare.